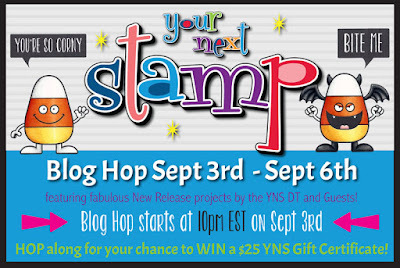 Trinity Rose Designs: Your Next Stamp September New Release Blog Hop! 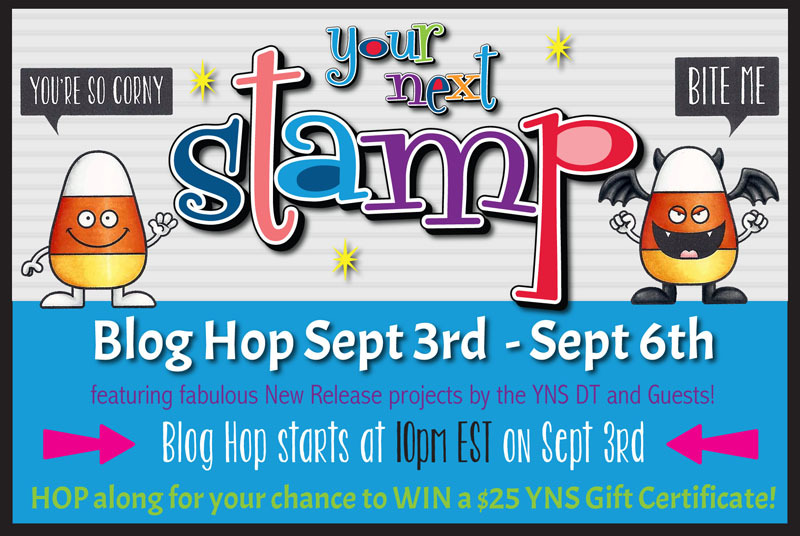 Welcome to the Your Next Stamp New September New Release Blog Hop! All the new products are available now in the YNS store! Im so excited for this release, its truly one of my faves and i had so much fun Coloring it up with my Copic Markers! From the Fab new dies to the Fantastic Paper Pads, and off course the incredible YNS stamps, the possibilities are truly endless! 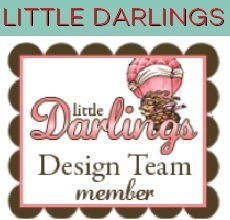 Here is my first card using these YNS products. I know rIght?!!! So super spooky cute! I just love the new Faboolous Halloween, and those stitched clouds are to die for! Im in love with with the funny forest crew set! Get ready to see a lot more from me with this set coming soon! We are giving away one $25 YNS gift card, how can you win you ask? All you need to do is comment on the DTs blogs, You don't have to comment on all the blogs but it does increase your chances of winning! Your scene cards are so cute! I love how you colored the images. Love the Funny Forest Crew set too. Great cards. Very cute cards! Those little bats are adorable. Wow! Your cards are too funny!!! Such cute cards! Your scenes and coloring are wonderful! What lovely cards. I smile everytime I see the forest crew. He's so adorable. Love the scene you made. Hi Martha, your Halloween card is so spooky cute! Those little bats and boo ghosts are adorable. 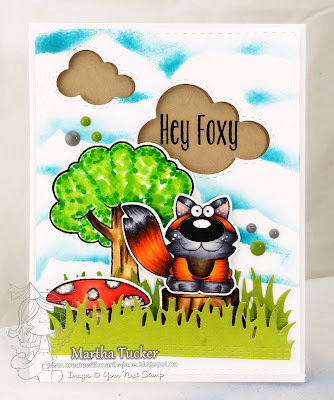 I adore your Hey Foxy card the entire scenery came out fabulous! Love these cards, especially the first one! That purple is fantastic, and the way you colored the ghosts is amazing! Very cute characters on the cards. Great project. 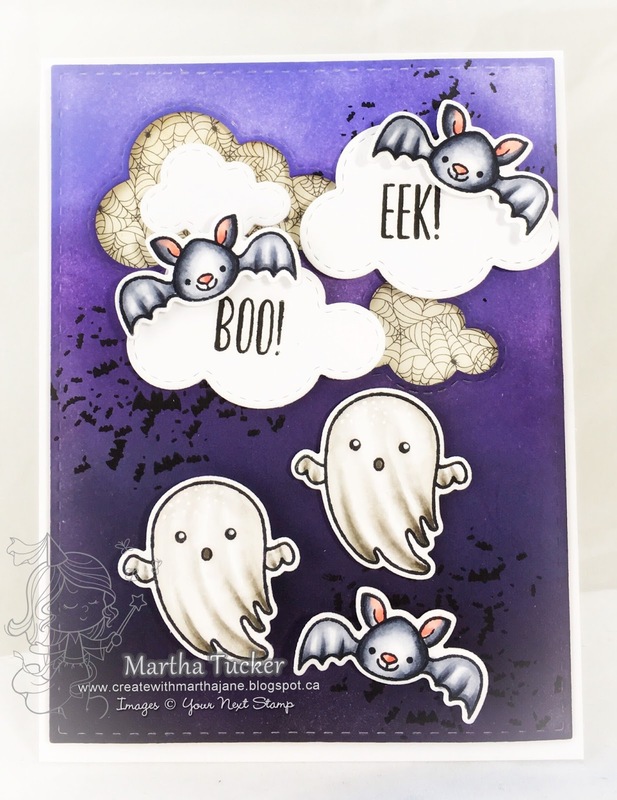 Your first card is spooktacular for little guys :o) What a great job you did on the background! Wonderful creations! The coloring is amazing too! Very cute cards! Love all the details! These are both so cute and fun! What a great release! Such fun scenes, Martha! I love your coloring! Two awesome cards, love your coloring. Love the clouds dies too! 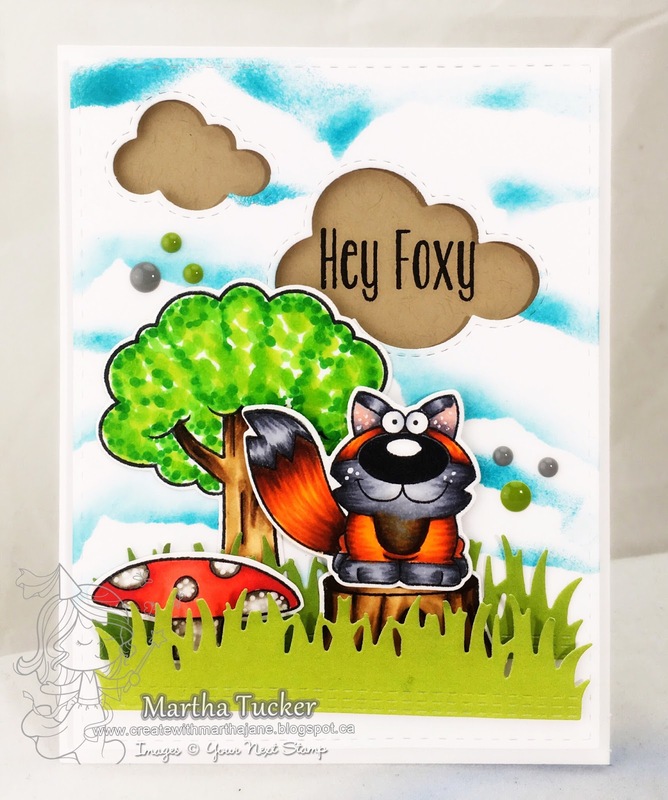 Super cute cards Martha, the fox card is especially sweet! Both cards are super cute! Your coloring on that fox is stunning! such wonderful style, I love the Halloween background with the bats!! such a fun setting for Halloween fun :) !!! totally love how you created with the Forest critters. Thanks for the inspiration :) gorgeous cards :) :) !!!!! !!!!! Really cute cards! Love the bats and ghosts! Fantastic cards. That Fab-Boo card is so cute. Thank you for sharing and being a part of this new release blog hop giveaway. Such cute cards and awesome coloring! Thanks for sharing! I love the way your ghost flies! Cute. I like your use of the cloud dies. Two fun cards! Great new products! Great cards - thanks for sharing! I like how the words are nested within the cloud in the second card. You are the queen of scenes! These two look amazing - both cards have wonderful coloring and perfect placement of images! Fabulous cards!! Love all the great shadings on the ghosts and bats! Love the colors for your fox too! and the dotted tree! super duper!